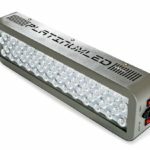 Most of the reviews on this site are of lighting systems that range anywhere between $100 and $300, but I thought in the interest of providing a complete picture of what’s available it would be a good idea to review some products on the less expensive end of the market. With a product like this you might be a little leery to go with an inexpensive option and there’s good reason for that – you want something that can do the job and for most people that means they don’t mind paying a little extra for it. Having said that, if there are any options that are affordable and get the job done there’s no reason not to consider them; saving a little money is always a good idea. The Erligpowht 45W LED is one of the most affordable options in the LED product category that purports to offer a lighting system that’s appropriate for a plant’s entire growth cycle. Believe it or not, these LEDs are priced well under $50. If they actually do the job as advertised you stand to save a lot of money by using these and that’s why I wanted to take a closer look at them. 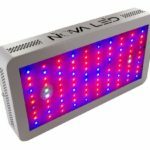 One aspect of an LED lights design that has a large impact on how effective it will be at helping your plants to grow is how many bulbs are included in the design. As a rule you want a lighting system with enough bulbs to create a sort of light ceiling that will completely cover the plants underneath it. 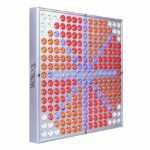 This Erligpowht system includes 225 bulbs – 165 red ones and 60 blue ones. 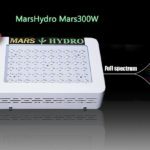 They do cover the entire light system quite nicely which is definitely positive and suggests that the system is capable of giving your plants the complete coverage they need. When you’re purchasing a lighting system you are making an investment and no matter how inexpensive they are, you probably don’t want to just throw your money away. That’s why it’s important to consider the warranty. It’s kind of unclear what type of warranty this system actually has as they don’t mention a warranty specifically, but they do provide what they call two years of quality assurance. I would assume that that means a two-year warranty, but it really isn’t entirely clear. 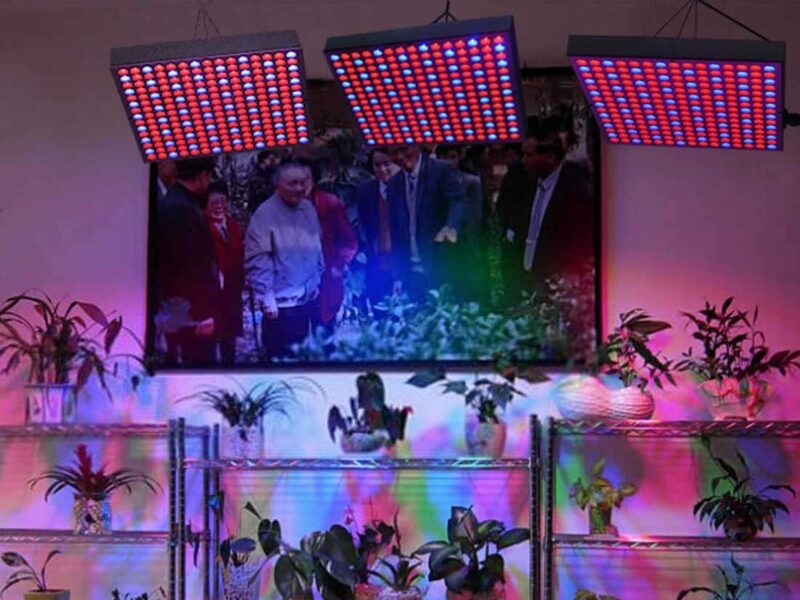 Traditional lighting systems include options such as sodium lights, florescent lights, and HID’s, and while all of these can do a great job in an indoor growing environment they have some very real limitations. All of these lights require expensive cooling systems to protect your investment from heat damage and they’re not the most energy efficient. This Erligpowht 45W LED is up to 80% more efficient than these other lighting systems and that can mean a lot of savings for you in the long run. 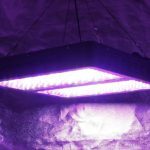 It’s one thing to provide your plants with the light they need for photosynthesis, but just because a lighting system provides a light that your plants need for growth it doesn’t mean that they’re efficient. The most important measure of a lighting system’s efficiency is its overall plant absorption – how much energy from those lights does the plant really absorb. 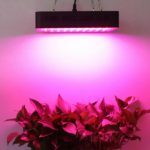 In that sense this lighting system does quite well as up to 90% of the light from this system is absorbed by your plants. That’s much more impressive than most traditional lighting systems which don’t come anywhere close to that. Indoor grow lighting is usually judged on how long it lasts. If you’re creating a large grow operation you’re likely to need several units; that means you want them to last as long as possible to keep the costs down. The great thing about LED lights is that they last a long time, and this unit in particular is designed to keep working for up to 50,000 hours of use. 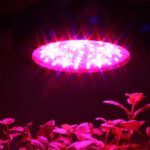 That means you’ll get years of use out of this system and you can concentrate on other aspects of your grow operation, confident in the notion that you won’t have to replace your lights often. 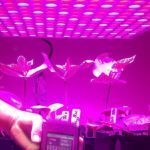 Sometimes you’ll want to make adjustments to the height of your lighting system depending on how well your plants are doing. If you need to move your lights lower so that they’re closer to the plants, because they’re not performing as well as you would like, you need to have the right equipment to make that possible. This Erligpowht system comes with hanging wires that are adjustable so that you can set your light at the height you want it. Unfortunately, there are some real flaws with this product that can’t be ignored. The system is made out of a cheap plastic which will break easily if you don’t handle it with care. This may not be surprising considering the low price tag on this system, but it’s something you should be aware of if you’re considering this system for your grow operation. The other issue that concerns me a little is the fact that the power connection tends to be a little loose and this may be the reason that more than a couple of customers have complained about an annoying tendency for these lights to flicker. If your lights are flickering they’re not performing at the highest level of efficiency and that is also a concern. In spite of a couple of issues I’m inclined to say these lights are worth taking a chance on if you’re on a tight budget. They do include red and blue lights that make them useful in all stages of the growing cycle and, of course, the price is right.